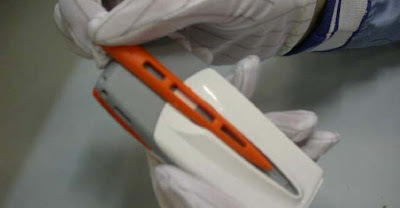 1 Remove the stylus from the C-Cover. 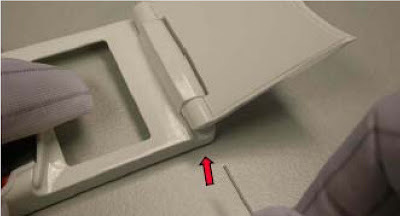 2 Press the Release Button before removing the C-Cover. 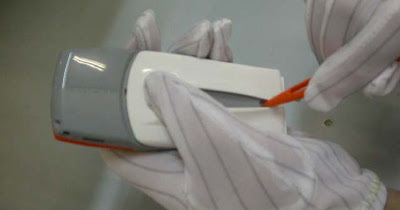 3 Remove the battery from the B-Cover. 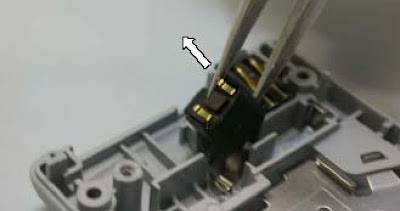 4 Unscrew the two T6 screws, in the order shown. For assembly, they should be replaced in the reverse order to a torque load of 21Ncm. 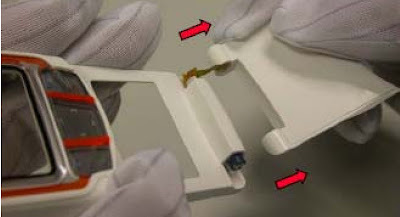 5 Carefully open the A-cover from B-cover, and insert tweezers to remove the key-board flex onnector. 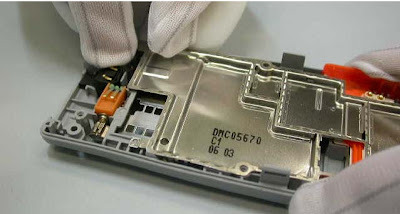 6 Carefully remove the keyboard flip flex connector from the phone PWB. 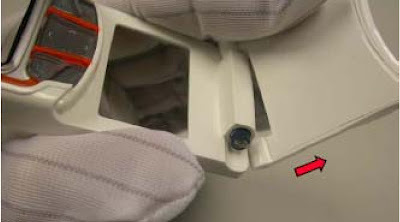 7 Remove the A-cover as shown. 8 Unscrew five T6 screws, in the order shown. For assembly the reverse order should be used with a torque load of 25Ncm. 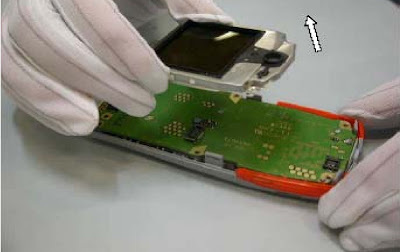 9 Take the module from the B-cover and carefully remove touchpad from the PWB as shown. 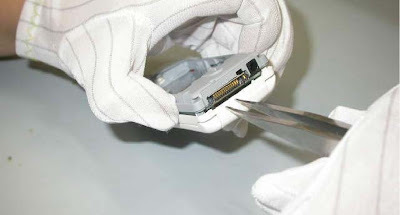 10 Carefully unplug the display connector by removing the UI-shield from the PWB. 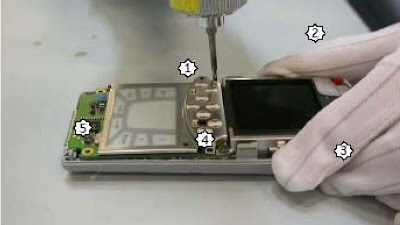 11 Carefully separate the UI-shield from the PWB. 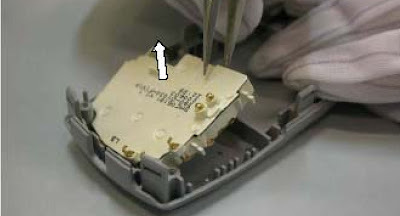 12 Remove speaker, when assembling, note the location of the guide pin. 13 Ensure that your workplace is always clean. 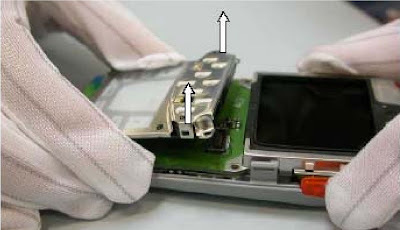 Take a clean cloth and press LCD, near speaker, away from the UI-shield. 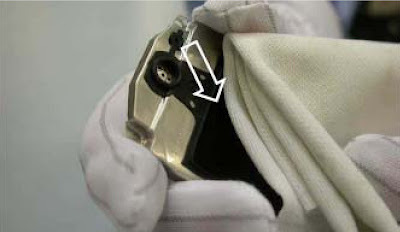 14 The shielding is attached with hooks at its backside. 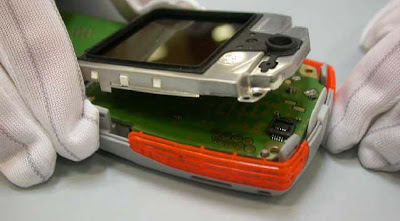 To remove the shielding rom the B-cover you first have to expand the B-cover, then pull up the shielding. 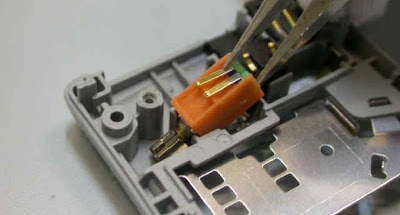 15 To remove colour frame from antenna, use SRT-6 tool to unlock the snap. 16 Remove the Power key. 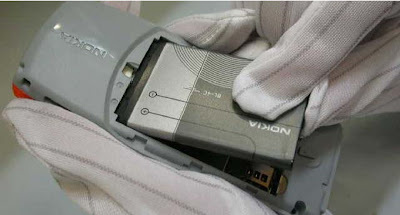 17 Use the SRT-6 tool to remove the antenna. 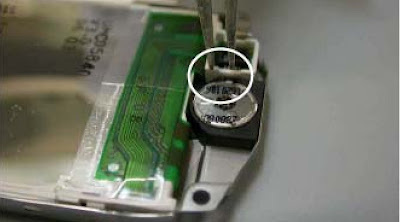 18 Use tweezers as a lever to remove the vibra motor. 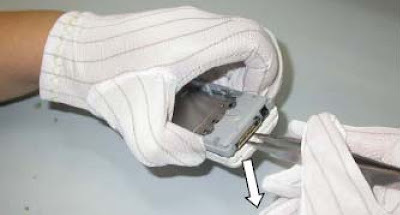 19 Use tweezers to pull up the microphone. 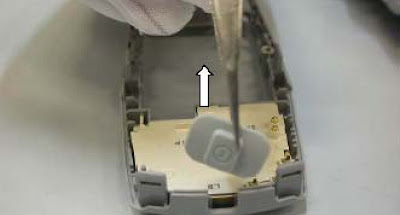 20 To remove the DC-jack, place tweezers between the spring contacts and under the jack. 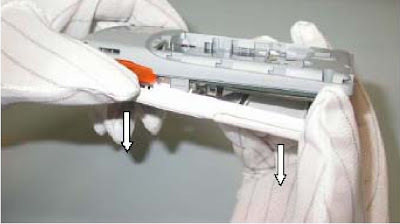 You will need to use additional force to pull the jack upwards. 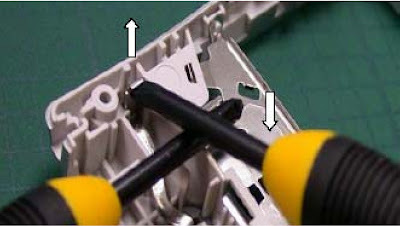 21 Remove the release spring, a straight bladed screwdriver can be used as a lever. 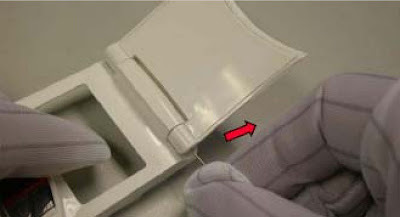 22 Expand the B-cover carefully and remove the SIM-Flip. 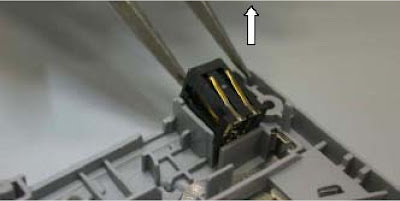 23 Insert keyboard flip disassembly tool pin SS-6 into the flip cover hole. 24 Push the pin down to the end and move toward the right. 25 Move off flip cover right corner.